Whether you're a beginner or a professional, our diverse product range will assist you to train and improve in your chosen sport or activity. We stock over 800 brands from Nike, adidas and Puma to Slazenger, Lonsdale and Karrimor, ensuring we've got just what you need for every level of every sport. We also boast a wide range of fashion and lifestyle brands for all the family so no matter what you're looking for, we've got it covered. 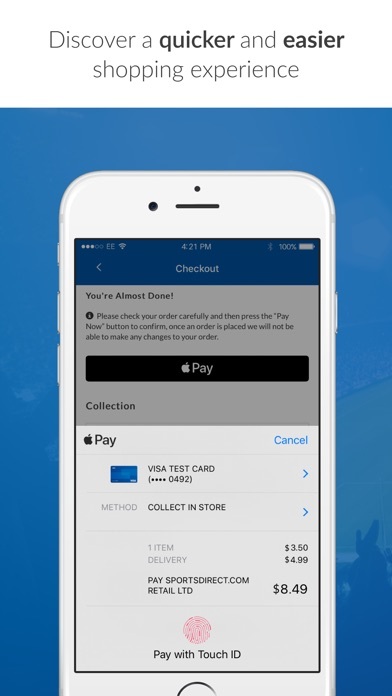 With the Sportsdirect.com app for iOS, you can: -SHOP AS ONE Use the same login details from the Sportsdirect.com website, your basket is synced too so you can shop across devices. 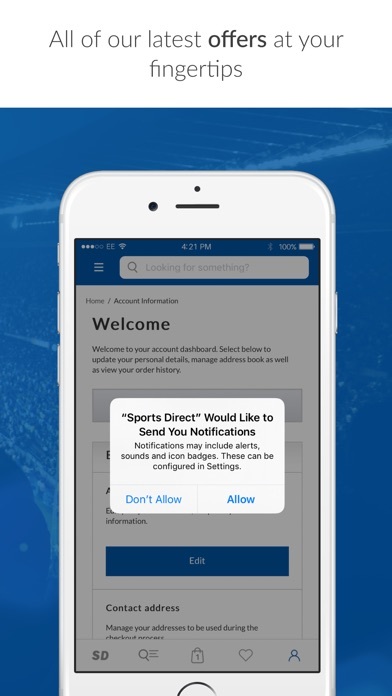 -KEEP IN THE KNOW WITH PUSH NOTIFICATIONS New products just in that you're going to love? Sale launching at midnight? Leave it to us. -PERSONALIZATION Want to personalize your team's soccer shirt or maybe your favourite player's cleats? No problem, it's all in the app. -SHOP THE SHOOT Use our look book feature to browse the latest photoshoots whilst shopping from them at the same time, what's not to love? 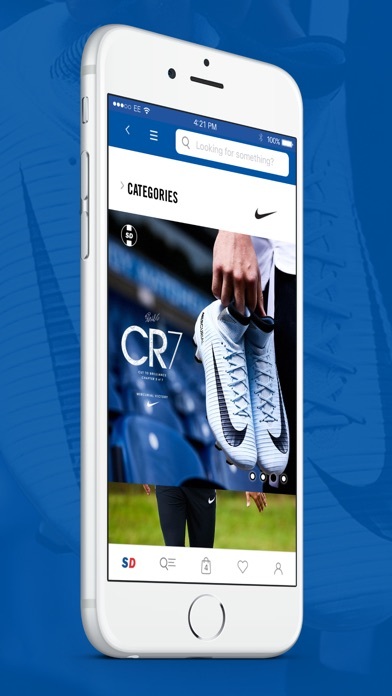 -ALL THE BEST BITS FROM MOBILE You can still shop as you would on our mobile site, using navigation you're familiar with, plus international delivery. They carry sports and workout clothes that you can’t find anywhere else. I’m a discus thrower, so a lot of the sizes run small for me. I give the clothes that don’t fit as gifts. I recommend this site. 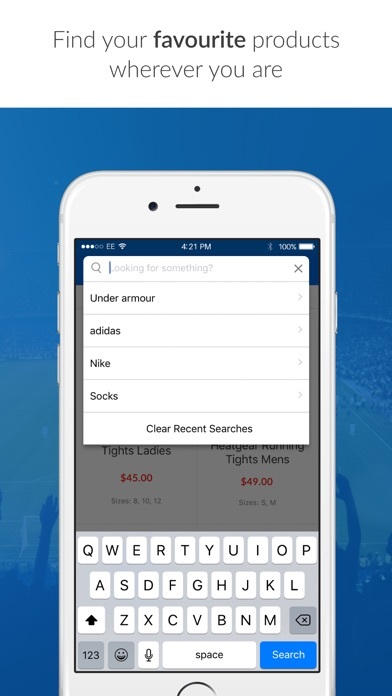 Crazy how cheap you can find stuff for on this app or the SportsDirect USA website. Shipping is really fast too. 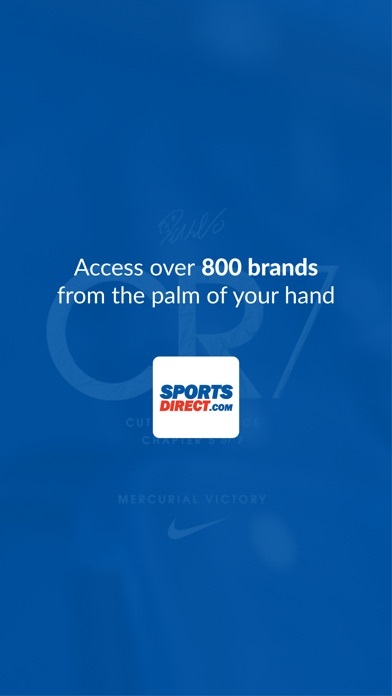 Been shopping Sports Direct for years. App is a good addition.